Let me ask you a question – when you think RC, what companies come to mind? Team Associated? HPI? Traxxas? I bet you can name a handful of cars that those companies make. If you’re a real RC nut, you might even be able name some of their ‘vintage’ offerings or where the companies are located. However, there’s actually a lot of cool trivia out there about these companies. After some serious digging, I came up with 6 things you probably didn’t know about 6 companies you know. Let’s get started. 1 Axial got its start back in 2005, riding on their ‘enthusiasts for enthusiasts’ branding. 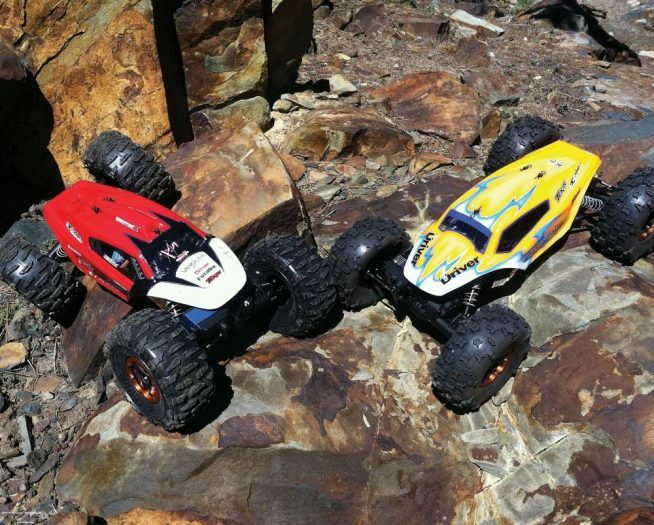 Initially, Axial started with a line of 1/8 scale buggy and truggy tires and wheels. They also released a few nitro engines, everything from a .21 to .32. 2 Their first RC release was the AX10 Scorpion, a scale truck that allowed enthusiasts to build a vehicle capable of rock crawling. It had solid axles, a brushed motor and loads of articulation. A lot of the features on that truck still exist today. What I bet you didn’t know is that the AX10 wasn’t actually the first RC car that was slated to be released from Axial; in fact, it was a nitro-powered motorcycle. Uh, guys, it’s not too late to revisit that! 3 Back in 2011, Axial had this great idea to invite participants up to Cisco Grove Campgrounds in the Tahoe National Forest for a rock-crawling weekend. Events would include both a rockcrawling and G6 trail course competition and the results were awesome (I know, I was there) with a crowd of just under 200 showing up to have some fun. Jump forward five years and here’s where the trivia gets interesting. This year, 2016, that even has morphed into Axialfest where the participant level is expected to be almost 1,000 people. Yes, I’ll say it again … 1,000. Oh, and want another morsel to snack on? It has been and always will be an Axial-only event. So, yeah, 1,000 people all with Axial trucks. Talk about amazing marketing. 4 Axial’s XR10 was released in 2010 and was the company’s first MOA (Motor- On-Axle) crawler. While there were other options out there at the time, the XR10 was geared toward drivers that wanted a solid platform on a mass-produced level. Not only did it look absolutely phenomenal, it was quite capable as well. Race reports immediately started rolling in about the XR10 grabbing podium spots and it instantly gained major notoriety. I tried my hand at serious rock racing (with the XR10) and was blown away by how much traction these cars have while hanging off the side of a rock! 5 If you’re big into scale truck, trail trucks or really any kind of offroading, you’ll love the appeal of Axial vehicles. Interestingly enough, Axial basically showers followers with some of the coolest pictures in RC. Want to know more? Then I suggest checking out Axial’s social media pages. 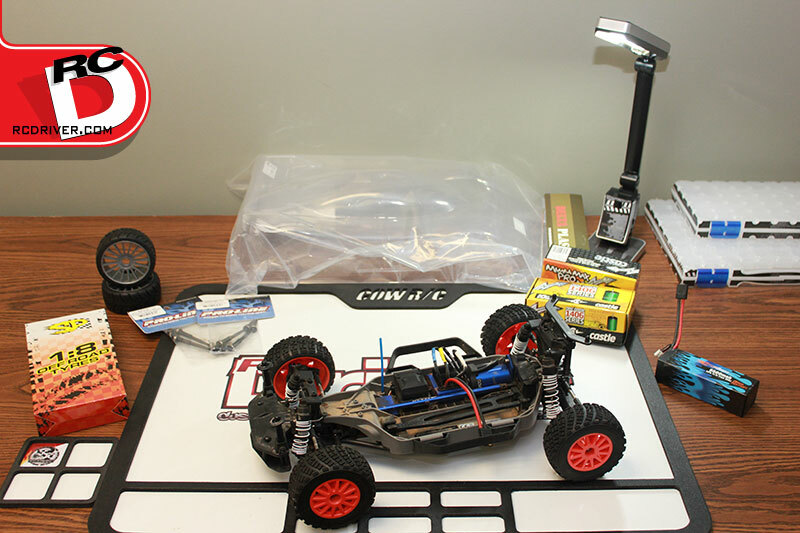 The company is extremely connected to the world through social media and you can peruse an almost endless supply of awesome RC offroadness. I use all of their channels quite a bit when I need some inspiration for a scale build … maybe you should too! 6 Axial employees are known for being outdoorsy, I mean, you’d have to be if you’re all about scale trucking. Something I didn’t know, though, is that it’s been rumored that quite a few of them are skilled in the art of ping pong. Now, I have no official confirmation of that, but I’ll be throwing my paddle in my truck for the next time I visit them. I’ve been known to ping some pong pretty good. 1 HPI (or Hobby Products International) started in 1986 manufacturing graphite parts, wheels and a line of electric motors. Tatsuro Watanabe and his partner created the company with a total investment of only $100 each. Another interesting fact is that even though Tatsuro is Japanese, HPI started in sunny Southern California. 2 Masami Hirosaka, one of the most famed drivers in the history of RC, won his first 4WD IFMAR World Championship back in 1987 in Romsey England. His car—a Schumacher CAT XL. Wait, what? I thought this was HPI trivia. Well it is, and what I’m sure you didn’t know is that he had one of HPI’s Uno motors powering his car. And that’s not all, he also went on to win the JMRCA (All- Japan Championships) that year with an HPI Uno motor in his CAT XL and Team Associated RC12. 3 In 1994, HPI released its first RC car. While many would think it was an offroad vehicle (seeing as that’s what was most popular at the time), it was in fact a car modeled after Tatsuro’s heavy fanaticism of F1, thus entitled the Super F1. You can still find these floating around on the web, but decent versions pull a pretty penny. 4 If you’ve ever had a chance to visit HPI, you probably didn’t get past the very small lobby. Thankfully, being in the media has its perks. Stuffed away in a back room of the HPI building are three full size cars on display; two HPI-sponsored Super Taikyu Subara Impreza race cars and Tatsuro’s pride and joy – a Ferrari Enzo. Unfortunately, the Enzo is kept under cover so I’ve never personally seen it (I’m not even certain HPI employees have seen it), so this bit of trivia could be considered heresay. My guess is, with Tatsuro’s love for F1 (and apparently Ferrari), there is actually an Enzo under there. 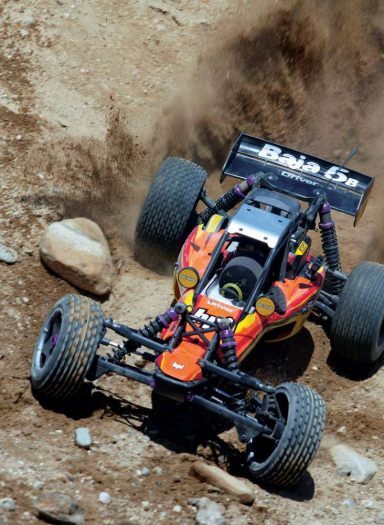 5 HPI’s Baja 5B was a major hit when it dropped, but did you know that this car was responsible for the 1/5-scale boom? In fact, all of the large-scale racing is a result of the 2008 HPI Baja Nationals that took place at Milestone Raceway in California. Since then, this car has seen a 120 mile trip from Barstow to Las Vegas and multiple 24-hour races around the globe. Added trivia – the 2008 HPI Baja Nationals Unlimited Class was won by none other than the infamous Tony Phalen (thanks Rodney). Oh ya, that’s me! 6 Up until 2001, HPI didn’t have an official racing team. They did support certain driver’s from time to time with product, but it wasn’t until 2001 that they made the announcement that their first official team driver was up-and-coming Japanese pilot Atsushi Hara. This was also Hara’s first contracted sponsorship and the duo would go on to win many ROAR National and JMRCA Championships. 1 While the name Tamiya is synonymous with model building, did you know that way back in 1946, Tamiya was founded in Oshika, Shizuoka-City Japan as a sawmill/lumber company? It wasn’t until 1948 that a department was organized within the company walls for model building – wooden models, that is. In 1953 the sawmill closed and Tamiya became a specialized wooden model kit maker. 2 Tamiya’s first car kit was released in 1976, it being the 1/12-scale Porsche 934 Turbo RSR. It was based on an existing 1/12-scale plastic model kit and was a massive hit, selling over 100,000 units the first year. In fact, if you’re old enough to remember this, Tamiya started putting stickers on the front of certain kits that stated ‘Suitable for Radio Control’. Unfortunately, I remember this. 3 Here’s something about Tamiya I bet you didn’t know. Between the years of 1984 and 1989, Tamiya had its own mascot. That makes sense seeing as mascots are a pretty big deal over in Japan; i.e., Kumamon, Kutan, Domo-kun and Bari-san. 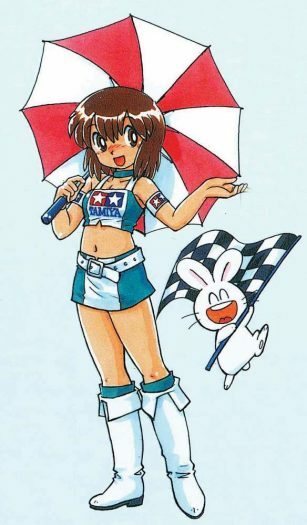 Tamiya’s mascot was named Moko-chan and was often seen with her sidekick Rabbi-kun. Both of these mascots appear in various pamphlets with Japanese-released Tamiya models and would teach modelers about the various kits they were building. Hey Tamiya, we’d like to see Moko-chan and Rabbi-kun return, please. 4 Another interesting piece of trivia I found was Tamiya’s Guinness World Records! The first was for the greatest distance by an RC model on one charge; 23.79 miles. That was back in 2013 and the driver, David Stevens, used a Tamiya F104 v2. Unfortunately, this record fell in January of this year. However, the other record, the greatest distance by a RC model in 24 hours, still stands. 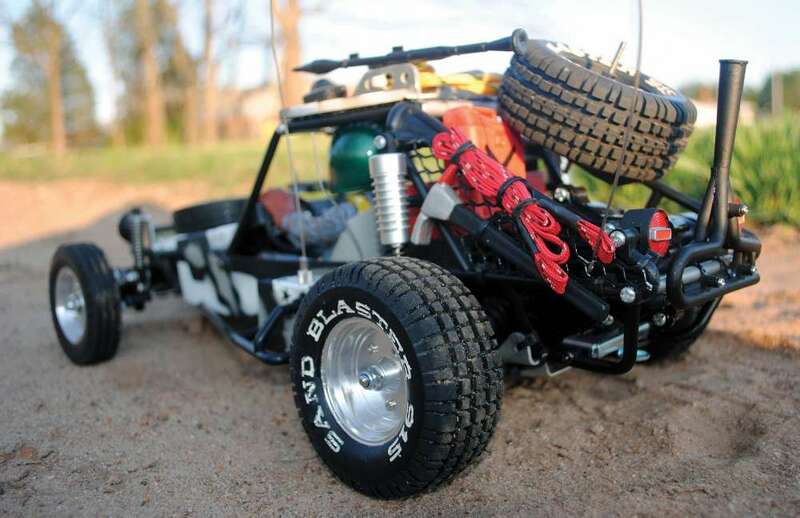 A modeling group from Germany used a Tamiya Desert Gator and drove it a whopping 167.58 miles in a 24-hour period. Seems like an odd choice of vehicles, but hey, whatever works! 5 Did you know that if you owned a Tamiya vehicle (and live in Southern California) you can drive at their track for free? Yup, you read that right. Tamiya has one of the most famed onroad tracks hidden back in the hills in Aliso Viejo and, on almost any Saturday, you can show up and run on it for free. Tamiya also has an amazing series, the TCS, where drivers can participate in regional races around the U.S. The winners of those races get a chance to come to SoCal and race at the TCS finals at the Tamiya track. Win that, and you’ll be whisked away to Japan to represent the U.S. in the TCS World finals. Oh, and did I mention that all of that – airfare and accommodations – all free. I bet you didn’t know that! 6 I just mentioned the Tamiya track, but the TCS races are not the only thing held there. Did you know that Tamiya also holds several other events there, including the Reedy International Touring Car Race of Champions? This event is in honor of the late, great Mike Reedy and pulls the best-of-the-best drivers from around the world to compete in multiple rounds of heads-up racing. It really is some of the most exciting racing there is in addition to being one of the most prestigious events to win. 1 Team Associated is well known for their long history of racing, but did you know that they didn’t start out in RC? 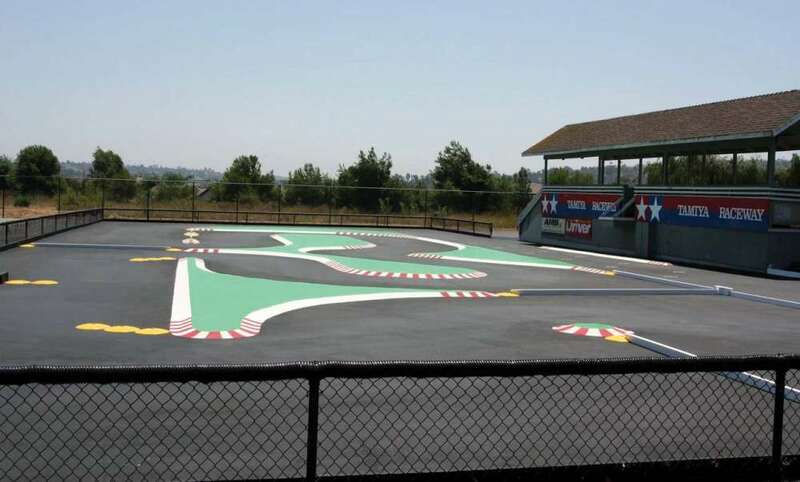 Associated Raceway was opened in 1964 in Lynnwood California at the start of the slot car craze as an after-hours business for Roger Curtis and Lee Yurada. They started making slot car accessories and soon turned Associated Electrics into a full time job. 2 AE’s first car was in 1971; the RC1. It was a gas-powered 1/8-scale onroad car that, in its inaugural race, put such a hurt on the competition that the rest of the field wanted it banned. Oddly enough, there was nothing special about it; it was designed using the knowledge that Roger (and friend Mike Morrisey) learned from the slot car business. Business boomed and AE’s future in RC was set. Another trivia tidbit; RC (as in RC1) does not stand for Radio Controlled. It stands for Roger Curtis. 3 This next bit of trivia is something I’m sure most of you know about and it revolves around the most notable car in RC history, the RC10. This car made its debut in 1984 and immediately dominated every race it entered. It swept the first-ever ROAR Nationals in Vineland, New Jersey with Gil Losi Jr. (yes, you read that right) TQing both the Stock and Modified classes. Jay Halsey would go on to take the win in both the Stock and Modified classes, but that’s not all. Jammin’ Jay would also go on to take the overall win at the 1985 IFMAR 1/10 World Championships with the RC10. I guess when AE says winning is in this car’s heritage, they ain’t kidding! 4 Back before the B44 (well before this car), AE had a pact with Yokomo; AE team drivers would race the RC10 in 2WD and the Yokomo in 4WD. Most of the Yokomo drivers had the same understanding. This arrangement lasted for years and was probably the reason both companies took so long to release their own vehicles (a 4WD by AE, a 2WD by Yokomo). When Team Associated and Yokomo parted ways, AE drivers started using the JConcepts BJ4 until 2007 when the B44 made its debut. 5 IFMAR (International Federation of Model Auto Racing) holds a World Championship race for all the major racing classes. Team Associated has 28 titles – more than anyone else. The list of names on this list is extremely impressive; let’s take a quick rundown: 1977 Butch Kroells, 1982 Kent Clausen, 1984 Tony Neisinger, 1985 Jay Halsey, 1987 Re-Pete Fusco, 1988/1989 Masami Hirosaka, 1990 Chris Doseck, 1991 Masami Hirosaka, 1992 Tony Neisinger, 1993 Brian Kinwald, 1995 Matt Francis, 1996 Masami Hirosaka, 1996 Mike Swauger, 1999/2000 Masami Hirosaka, 2003 Billy Easton, 2004 Masami Hirosaka, 2005 Neil Cragg, 2007 Hayato Matsuzaki, 2007 Jared Tebo, 2008 Naoto Matsukura, 2009 Martin Achter, 2011 Ryan Cavalieri (2WD and 4WD that year), 2013 Steven Hartson, 2015 Spencer Rivkin. Some names you might recognize, others you should recognize, but all of these guys have stamped their names as greats. I’m sure Team Associated will add many more in the future. 6 Heading the everyday operations over at Team Associated is the one and only Cliff Lett. Cliff joined AE in 1988 where he helped develop the RC10B2 and, really, everything after that. But did you know that Cliff was also a very formidable racer? He has multiple ROAR and NORRCA National Championships as well as being crowned the 1991 IFMAR World Champion in the 4WD electric class! 1 Losi was started in 1988 by father and son duo Gil Losi Sr. and Gil Losi Jr. Initially, they were making pinion and spur gears as well as other hop-ups for Yokomo and Team Associated cars. They also dabbled a bit, producing nerf bars for Tamiya cars. 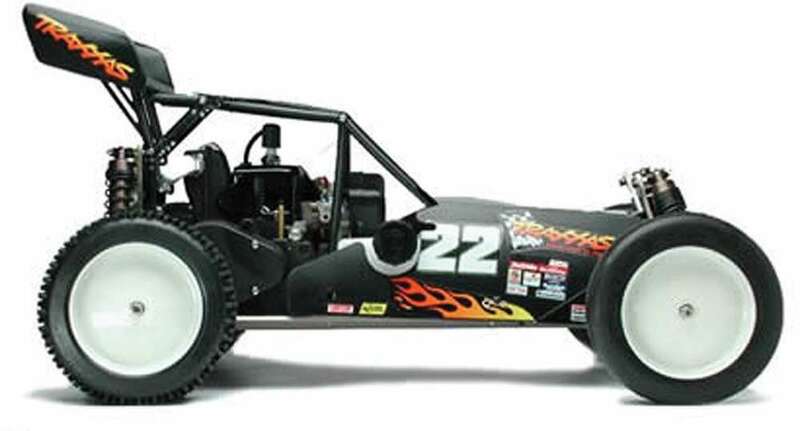 Their line of vehicles was mostly race-oriented; however, in 2000 Team Losi joined Horizon Hobby and a whole new line of RTR-based vehicles was developed. This also sparked the TLR line, or the Team Losi Racing division, where they created a separate line of high-end racing buggies and trucks. 2 Team Losi’s first RC car was back in 1988 – the JRX-2. Because the car needed a lot of custom machined parts, Jr. went to work for a local machine shop where he ended up learning how to do production machining. Just about every metal part in the first kits were handmade, including the unique 5-link rear suspension which, oddly enough, was initially on a prototype RC10. 3 Long before Sr. and Jr. went full time into Team Losi, the two of them actually helped with some design work for Team Associated’s RC10L. They are the ones that came up with the T-Bar concept that graces onroad pans cars for many years. Cool fact, right? But did you know that the “L” in the RC10L stands for Losi? 4 Some of you may remember this, most probably not. In 1998, Losi took a dip into the Yo-Yo market. They designed three high-end yo-yos; Da Bomb, Cherry Bomb and Grim Sleeper. All three of these used high-end bearings and other yoyo’ey parts, and Losi teamed up with Variflex to promote them. I had one Da Bomb and one Cherry Bomb, but only for the sake of having one (I can drive the wheels off an RC car, I can’t yo-yo to save my life). 5 Adding to the unique-ness of the yoyos, Losi also dabbled a bit in video games. 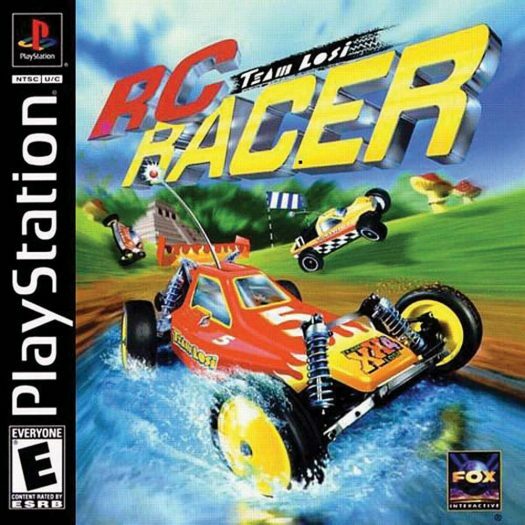 In 1998, Losi and Fox Interactive released the Team Losi RC Racer game. Players could take control of a RC car and race it around a variety of tracks. There were 16 cars to choose from (all very colorful), each having different attributes (speed, acceleration, grip and weight). It was available for Playstation and even had ‘cheat’ codes. Bonus trivia; a shout out to top racer (at the time) Jack Johnson and ‘all the chaps at Team Losi’ was in the in-game credits. 6 Up until 2003, most of the vehicles being offered were 1:10 scale or larger. In October of that year, Team Losi set the world ablaze with the release of the Mini-T. 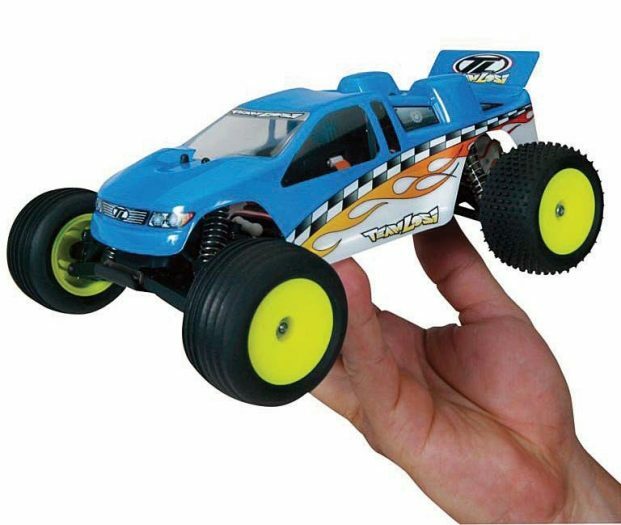 This mini racing truck could be had for under $100 and could be used indoors or out. It also sparked other companies to design up other versions as well as a massive 1:18 scale racing class. If you own one of these small vehicles (from really any company), you can thank Losi for that. 1 Traxxas was started back in 1986 and founded by Jim Jenkins and David Katz. Their idea was to create a line of hobby-grade vehicles that came fully assembled, allowing the owner to remove them from the box and go; something that hadn’t been done yet. 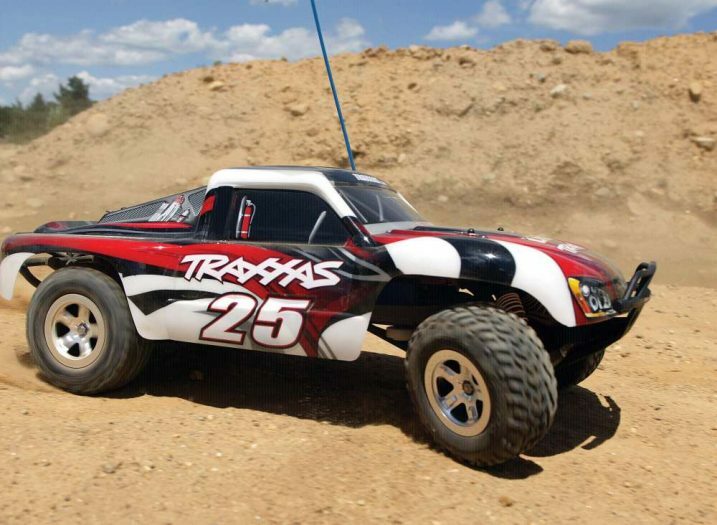 This was referred to as a RTR, or a Ready-To-Run, a term Traxxas is credited for creating. 2 Traxxas’ first car was the WildCat back in 1986. It was manufactured for Traxxas by a company called Bluebird and was a 4WD, shaft driven buggy. It came with provisions for four rear shocks and a mono shock front end or standard dualupright shocks. Unfortunately it was only available for a short period before being recalled. I have, however, seen traces of them online. 3 This is an interesting little tidbit I found that I didn’t even know. In 1994, Jim Jenkins sold his interest in Traxxas to co-founder David Katz. 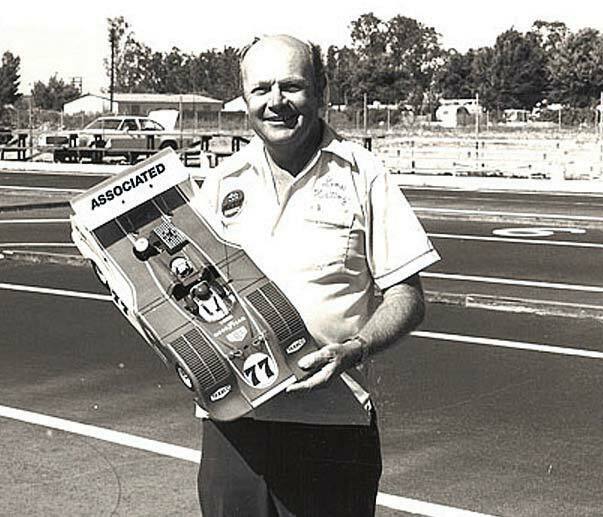 Jim’s son, Mike, was the first employee of the original Traxxas Corporation and was, at the time, Vice President and General Manager. In 2003, Mike purchased the company back from David Katz. At that time, he also made note that Traxxas Corporation would be changed to just Traxxas. Who knows where Traxxas would have been if Mike hadn’t purchased it back. 4 Another vehicle that you may not know about is their 1/5-scale buggy, released in 1993. 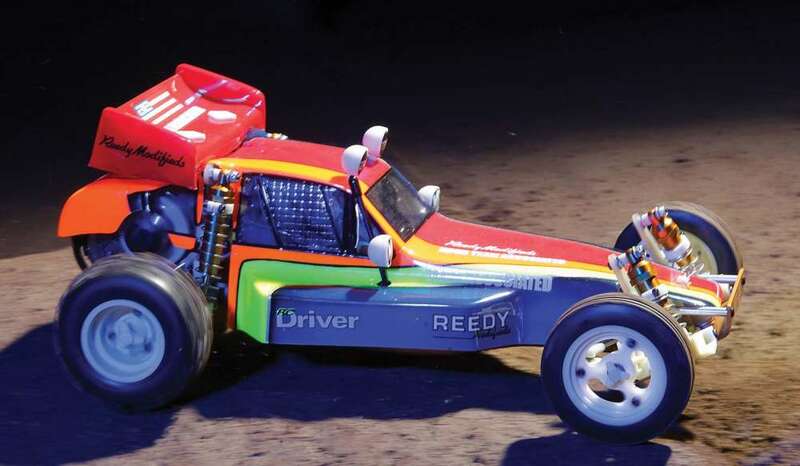 The Monster Buggy was a short-wheelbase (by today’s standards), gas-powered, 2WD buggy that came pre-assembled with a Zenoah G230RC 23cc engine – the rest of the electronics needed to be purchased separately. It had skinny ribbed front tires, wide knobby rear tires and a huge cage to protect the engine. I actually got a chance to drive one of these in a parking lot; it was quite heavy but I was still impressed with how fast it was. If you’re interested, I’ve seen a few of these floating around on eBay. 5 I’m sure you’ve heard of the Traxxas Slash, but did you know that Traxxas created the short course boom with it? You see, this was a sneaky release – no one saw this truck coming but once it was released, everyone had to have one. The short course class was here and it became so popular, it literally destroyed the stadium truck market. Many manufacturers re-tooled their stadium trucks to become SC trucks, eliminating their ST trucks altogether. 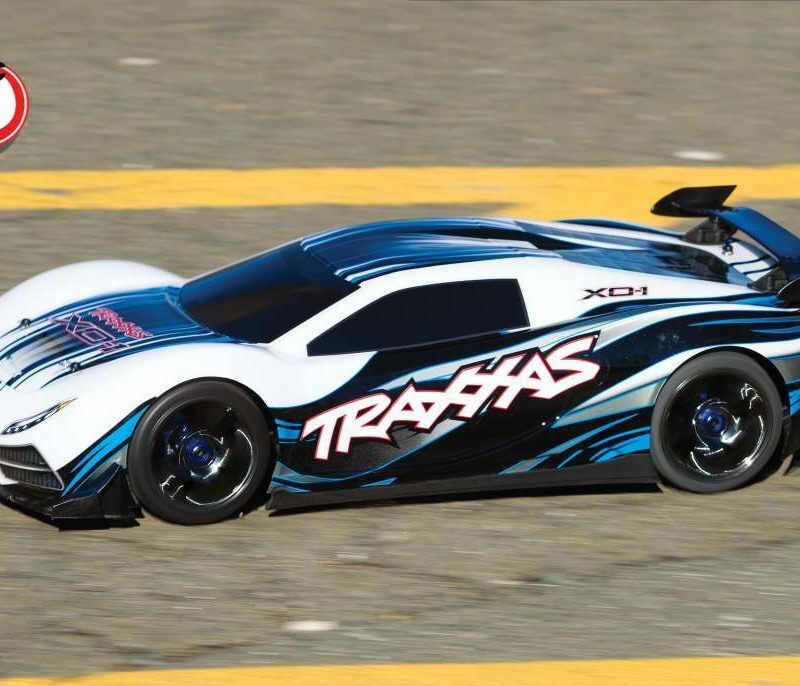 6 If you’re an avid RC’er, you’ve heard about Traxxas. If you have friends that use RC cars, you’ve probably heard about Traxxas. But did you know that their brilliant marketing minds have stepped it up a bit, especially in regards to their slogan ‘The Fastest Name in Radio Control’? To put that point across, Traxxas has spent a few bucks sponsoring quite a few full-size racing events. You can see their name on the sides of NHRA drag cars, TORC Series racing trucks, Monster Trucks and plastered across the, umm, back of racers like Courtney Force. Heck, I’ve even seen them at the Long Beach Grand Prix and the Barret- Jackson Car Auctions. You should mention that in addition to owning Traxxas, Mike, and for a while his brother Mark were top level drivers in the TORC PRO2 and PRO4 classes. 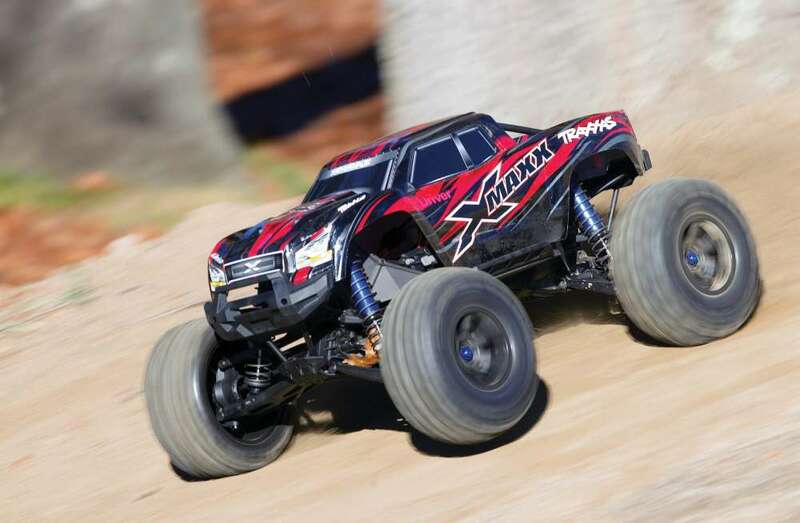 Traxxas should be credited with not only creating a new class of R/C, but introducing the hobby to a lot of real short course off road racing fans. Traxxas’ marketing team would have “play pits” set up on site and in between heats have on track high jump expos. They even mounted some cameras on Traxxas monster trucks and drove them on the backside of big jumps during the races!